OpenSesame is a growing technology company. We’re building the world’s marketplace for elearning courses, and in this difficult economy, we’re proud to be creating jobs and building a strong, new company. We’re proud to share that we are seeking a marketing analyst to enable us to continue building our lively community of elearning buyers and sellers. If you are seeking job opportunities in marketing, campaign development and data analysis, please read the full job description for more information. OpenSesame is an amazing place to work. We work in a truly collaborative fashion, make regular expeditions to Chipotle for burritos and take breaks to play video games on our Kinect. For insight into OpenSesame’s culture, check out our awesome office tour video (the developers’ entrance is my favorite part) or recent blog posts reflecting our hard-working but light-hearted approach to revolutionizing elearning. 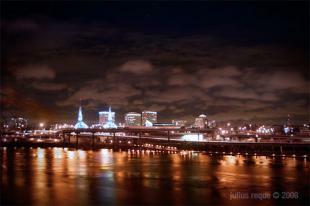 OpenSesame is based in Portland, Oregon – a creative, delicious and really sunny (well, in the summer time) city. We are a growing tech hub, with creativity invested in every arena, from food to double-decker bikes. Portlanders love the Trail Blazers and the Timbers, recreating outdoors (from Cannon Beach to Forest Park to Mount Hood) and riding bikes when we’re not solving problems or eating from food carts. If you have any questions about what it’s like to work for OpenSesame or about this position, please send me an email. Ready to apply? Please do so through JobScore.